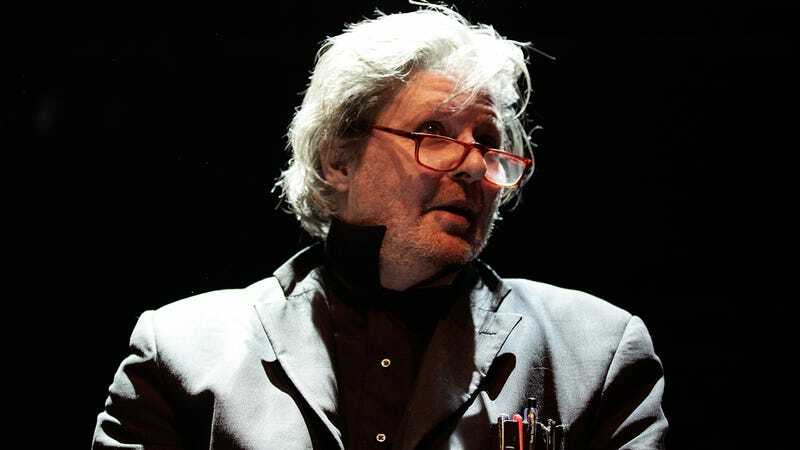 As reported by Billboard, influential composer and musician Glenn Branca, best known for his contributions to the experimental music and no wave scene in the ‘70s and ‘80s, has died. His death was confirmed by longtime collaborator Reg Bloor, who revealed that he died in his sleep last night after a battle with throat cancer. In the statement, which was posted on Facebook, Bloor said that Branca’s “influence on the music world is incalculable,” adding that he was “a deeply caring and fiercely loyal man” despite his “gruff exterior.” The post also noted that he “live a very full life and had no regrets.” He was 69. Branca also worked on Sonic Youth’s first two albums, and more recently, he has written and performed symphonies with both traditional orchestras and more experimental ensembles—including a symphony written for 100 electric guitars that has been performed all over the world. As Pitchfork notes, Branca also wrote a handful of opinion pieces for the New York Times.